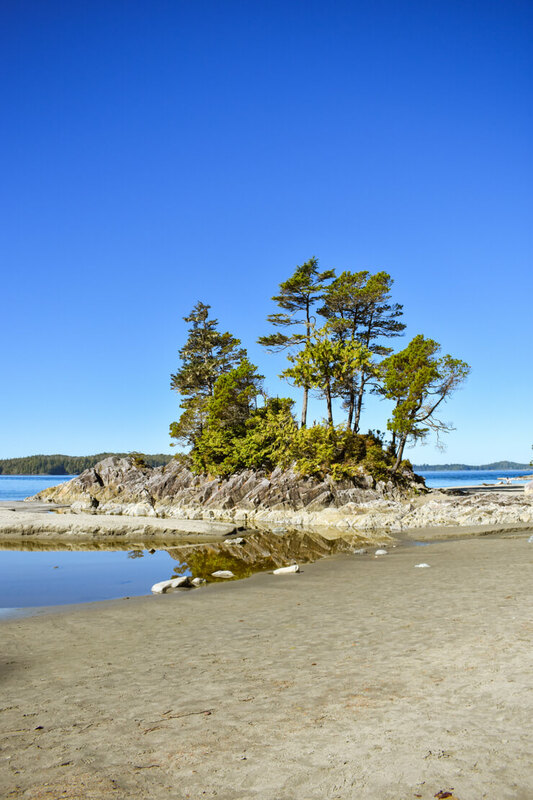 If you’re short on time in Tofino, a remote city located on Vancouver Island in British Columbia, you can still experience a lot that the area has to offer with this one day in Tofino itinerary. 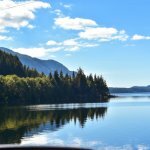 Find out the top things to do in Tofino if you don’t have a lot of time to spend there and get ready to fall in love with this gorgeous little corner of the world. Tofino is located on the west coast of Vancouver Island, a large Canadian island located across the bay from the metropolitan city of Vancouver. If you’re visiting Tofino, you likely drove there. Either from your home in the Pacific Northwest (like me!) or probably from Victoria International Airport (Victoria is the capital of British Columbia and is located on the south shore of Vancouver Island). 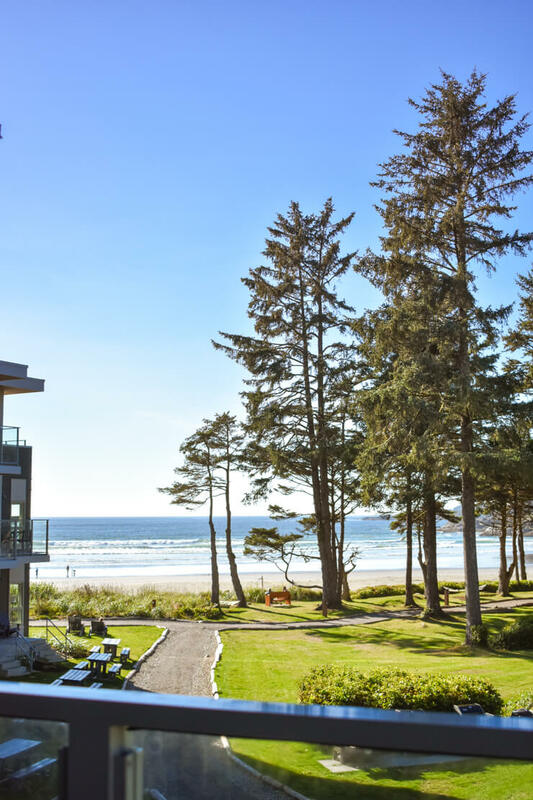 Tofino does have a small airport and connecting flights from Vancouver or Seattle are possible to find, but you’ll still likely want to rent a car while there even if you fly straight to Tofino. 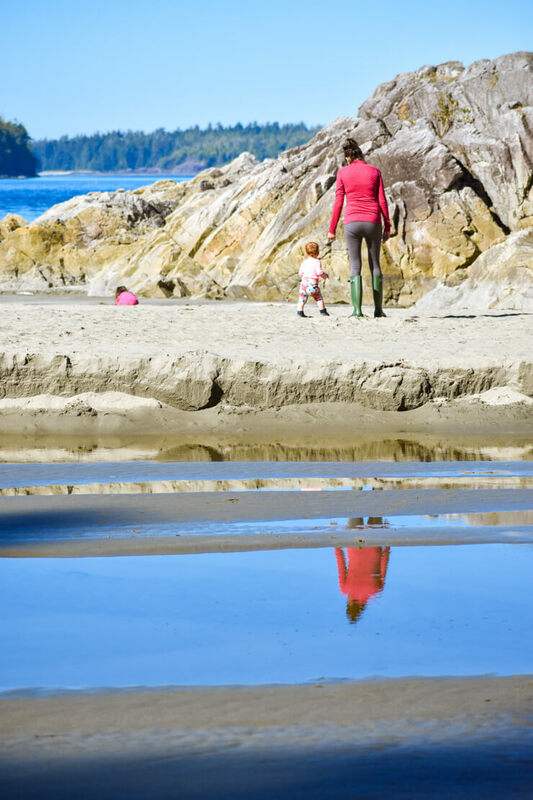 Exploring beachfront scenery is one of the top things to do in Tofino, so start your day there with a walk on the beach. I recommend heading to Tonquin Park. It’s nearby downtown Tofino and is absolutely gorgeous. To get to the beach you walk along wood beams on a manmade trail through the woods that leads from the trailhead by the tiny parking lot to the peaceful beach. The trail feels like you’re walking along your own private treehouse path to get to the beach. 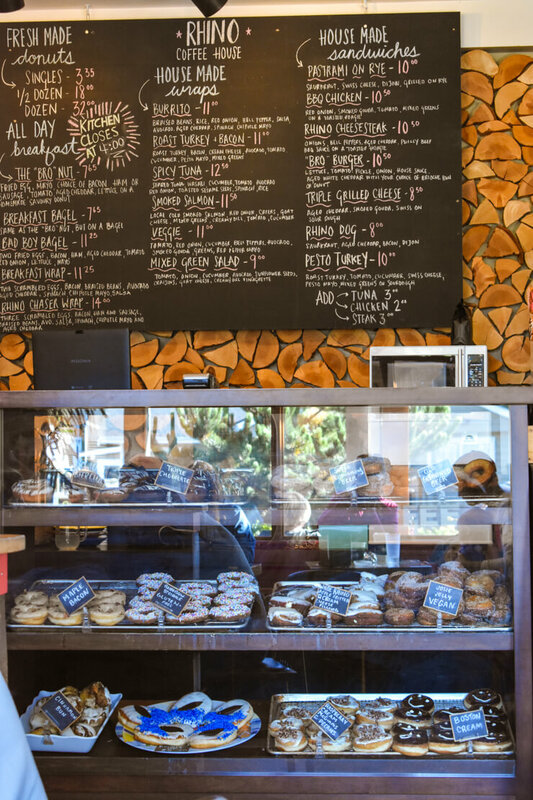 After you get some fresh air, head into downtown Tofino for some breakfast. 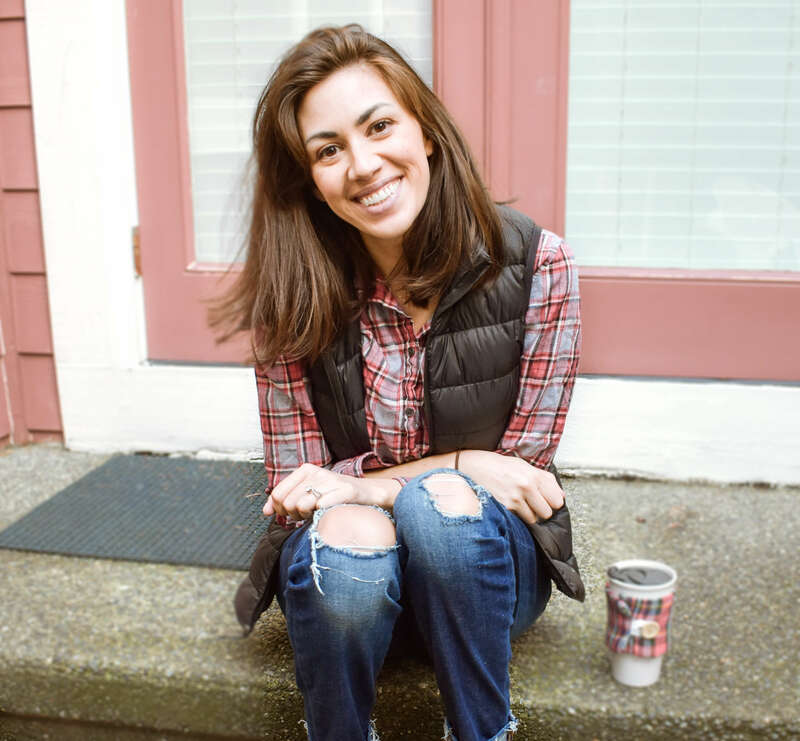 After hearing about Rhino Coffee I took my family there the first morning we were in Tofino…and we ended up eating there every single morning for the rest of our trip. Seriously, so good. My husband and I were both obsessed with the breakfast sandwiches and wraps and my children (ok, and my husband and me, too!) were big fans of the donuts. Oh yeah — and the coffee was really good, too. 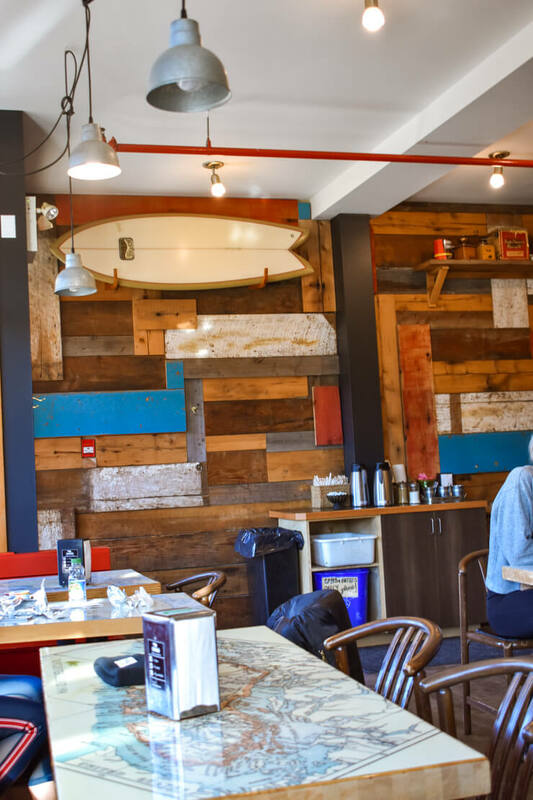 The café has indoor and outdoor seating and a laidback surfer vibe inside. Mermaid Tales Bookshop is a cute little bookstore in Tofino that carries some local kid books. There’s also a shirt shop next door if you want a simple Tofino-emblazoned souvenir shirt. The lady working there when we stopped in was super friendly and helpful and even gave my daughters some chalk to color with on the sidewalk in front of the store to keep them entertained while i browsed. This may be my favorite souvenir shop ever. The designs are unique and the quality seemed really high for the sweatshirt I bought. The prices do reflect this, but it’s worth it to get a shirt from your vacation you’ll actually wear. There was also jewelry, home furnishings, ornaments, and other objects sold that will remind you of Tofino’s rugged coast once you’re back home. I’m not a huge art gallery person, but after seeing that Roy Henry Vickers illustrated a book I picked up for the girls in Mermaid Tales Bookshop, I was intrigued by his art. His gallery is one square room with a gift shop in the back. Paintings line the walls and they are bright in color and have detailed descriptions of the inspiration behind the painting. A lot of the paintings are of Vancouver Island since it’s where Vickers grew up, and it is interesting to read about the scene depicted. Even my three year old seemed entranced by the photos and was actually calm as we walked through the gallery and looked at all the pictures alongside us, pointing things out in them that she liked. She especially loved the paintings that had orcas or other sea animals in them. While walking around town you’ll also see lots of totem poles, scenic views, and sights of the local fishing industry. 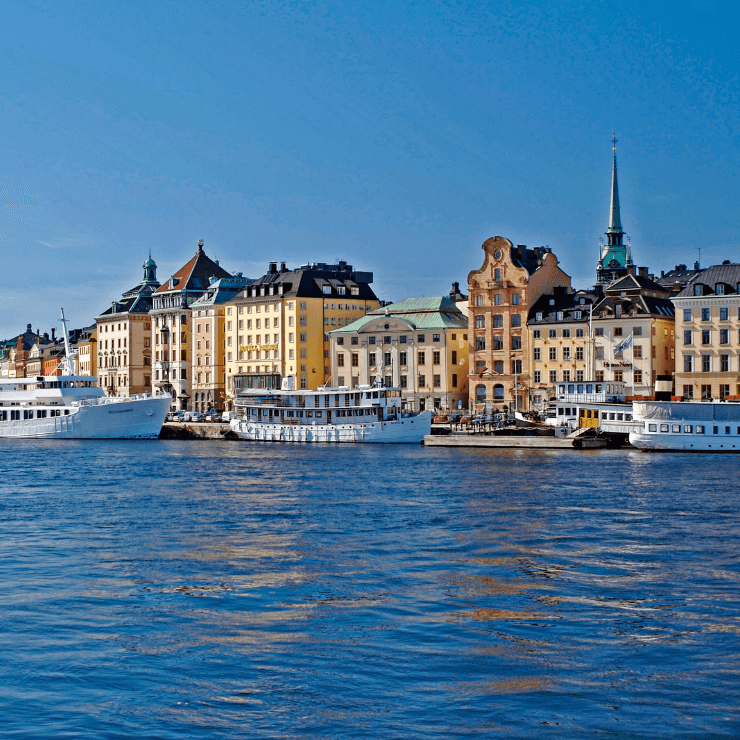 The whole town is quite adorable and keeps the sea theme flowing – even the bike racks and pedestrian zones along the streets were inspired by the ocean! Once you’ve explored the town for a bit it’s time to get back in your car and drive out of town for amazing fish tacos. If you’ve never had a fish taco you are in for a treat – and probably a new obsession – and if fish tacos are your favorite food like they are mine then this place will meet your fish taco loving expectations. 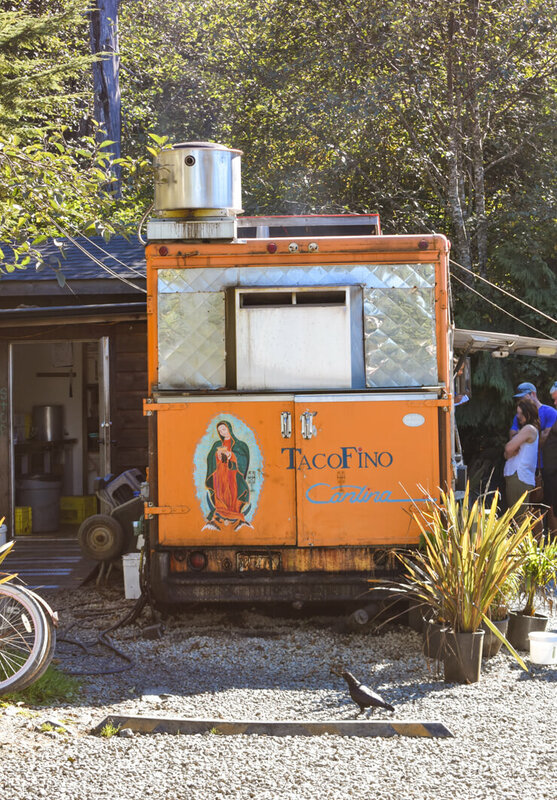 Tacofino is a food truck located by the Live to Surf shop in the shopping complex off the Pacific Rim Highway. Tacofino has a few long tables located outside and the food came fast and the tables continually turned over quickly for how crowded it was each time we were there. And if you’re in the mood for dessert, head to Chocolate Tofino, which is located in the same shopping complex and has creamy, sweet gelato. One of the Top Things to Do in Tofino is to…Visit a Rainforest? Yup, Tofino is home to a rainforest — a temperate rain forest. It is one reason it takes so long to drive to Tofino since the forest is protected and only has the one road leading through it (which you took to get to Tofino from Victoria if you ferried there). The rainforest has two access points in Tofino that are located off of the Pacific Rim Highway, with a hiking trailhead located on each side of the highway. There is a parking lot and restrooms on the south side plus a map of the trails on an info board. 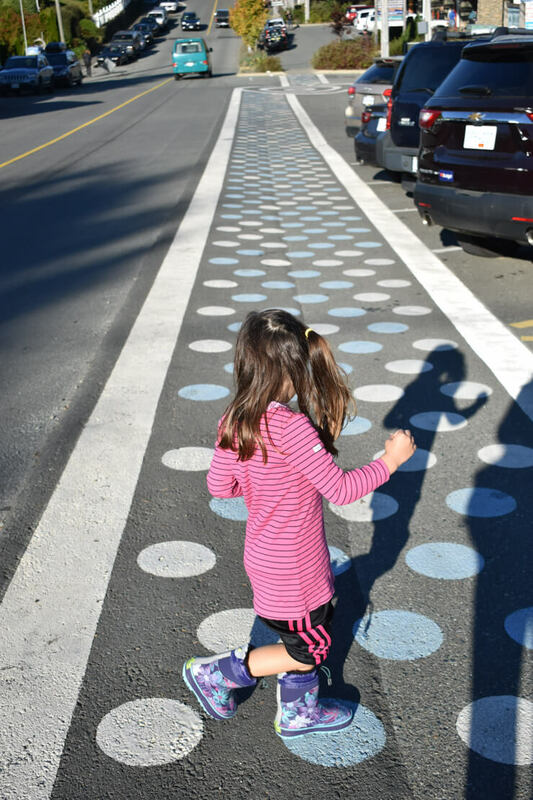 Each trail will take you roughly an hour to walk – probably faster if you don’t have children with you like I did. We did the B trail (there’s an A trail and a B trail) and it was scenic with easy to navigate wooden paths. It was incredibly peaceful, too. We only encountered two other couples while we were walking so it felt like we had the whole rain forest to ourselves for most of the time. 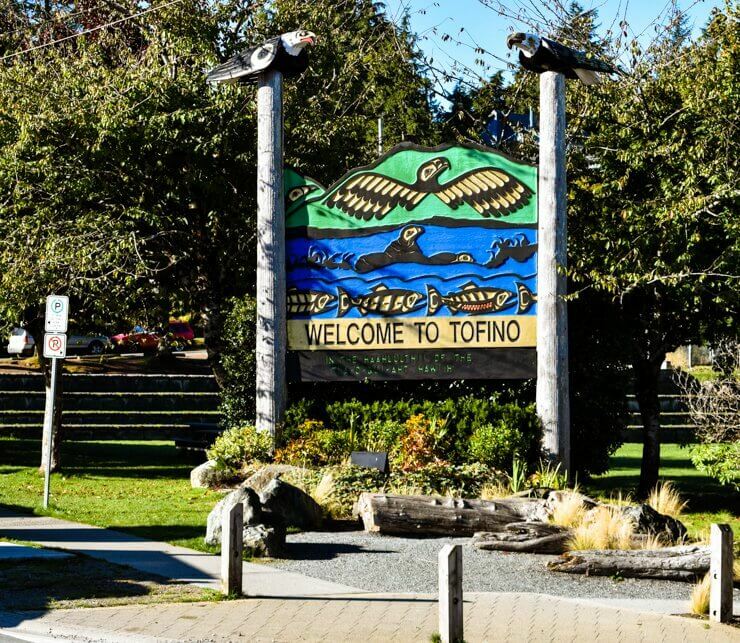 Also, here’s a one day in Tofino itinerary tip for eating: Depending how much time you spent in downtown Tofino, you may not be hungry yet, in which case do the rainforest hike first and then go to Tacofino for lunch. 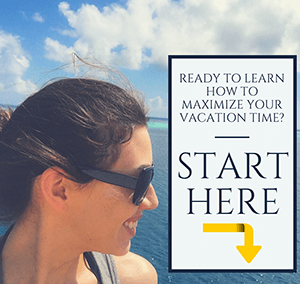 One Day in Tofino must Include…Ocean Time! After your hike, leave the forest behind and head to the water. One day in Tofino won’t give you tons of time at the beach, but it’s hard to bypass this level of gorgeousness. Cox Bay Beach is a known surfer beach and also often has tide pools around the rocks perfect for little kids to splash around in. Rent a surfboard or boogie board at Surf Sister (and spend the extra money for a thick wetsuit if you don’t have one – trust me, the water is cold and you’ll ultimately get more bang for your buck by getting to stay in the water longer) and give the waves a whirl. Or just enjoy sitting on the sand and watching the many local surfers who come to this bay to practice their skills. Another way to get some ocean time in the afternoon if you’re not a surfer or beach going person is to do a whale watching excursion. 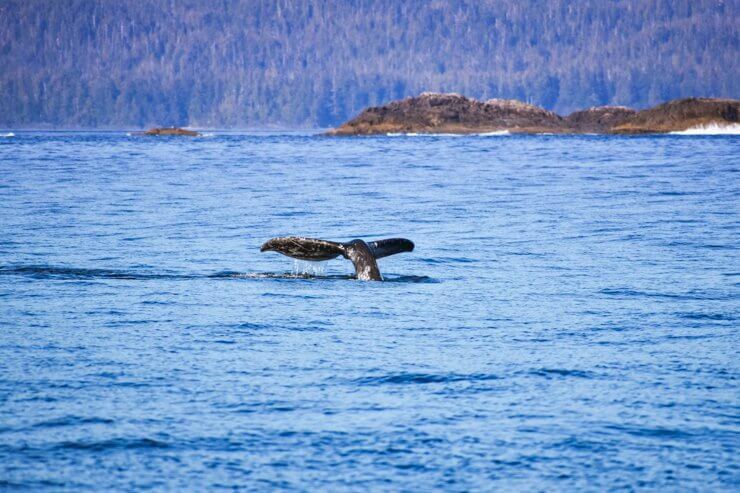 Tofino is one of the best places to see whales in North America. Most whale watching outfitters in Tofino offer a morning and afternoon time and you’ll want to budget in about 2.5 to 3 hours for it. We went on a whale watching excursion with West Coast Aquatic Safaris and they were excellent. I highly recommend them, especially if you have little kids (you can read more about my experience with them on my Instagram post about it). Also, I have a caveat on this Tofino thing to do of experiencing the ocean – you should really do both whale watching and beach time! Why? Because if you’re driving all the way to Tofino, it’s highly unlikely you’re only staying one night there. So…after your one day in Tofino doing either beach time or a whale watching excursion, spend your following morning doing the other thing before leaving (or if you’re not leaving the next day head back to that gorgeous beach for some surfing and/or fun in the sun on the sand in the afternoon). 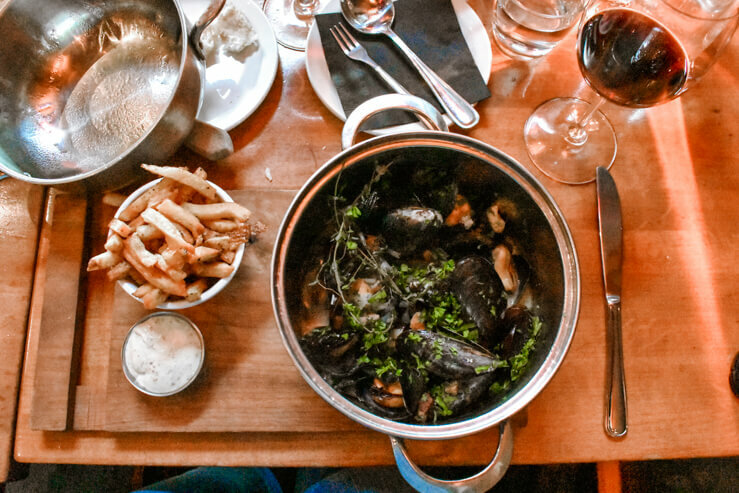 Mussels and Fries. A perfect combo — who knew? 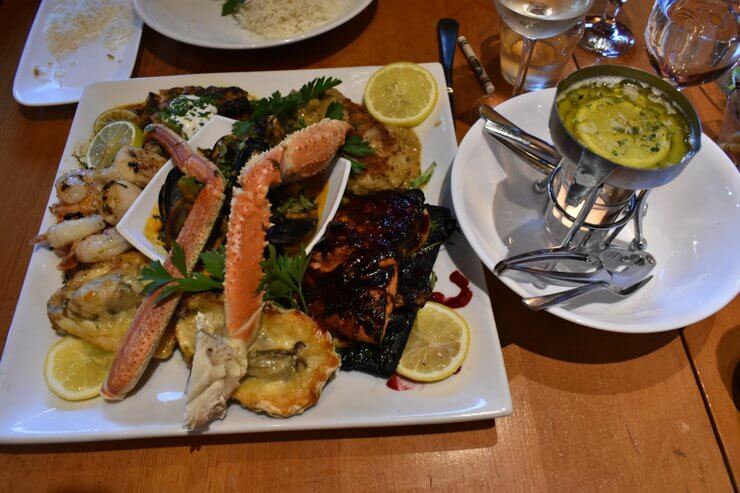 Admiral’s Plate Seafood Platter at Schooner Restaurant. So. Much. Food. So. Good. 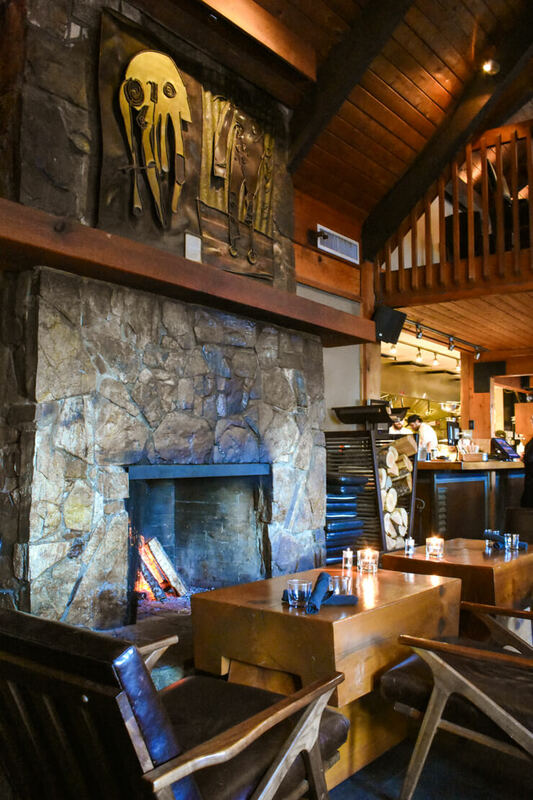 The Schooner Restaurant in Tofino has a fun sailing ambiance and delicious cuisine. My husband and I split the Admiral’s Plate seafood platter, which was a splurge, but totally worth it. We got to try so much of Tofino’s excellent seafood. A highlight was the Halibut Bawden Bay; Schooner Restaurant is famous for how it prepares the halibut. Walking along Cox Bay Beach at dusk. If you eat early enough or have a second night in Tofino, don’t miss a sunset going down over the ocean horizon. The sunsets at Cox Bay Beach were truly breathtaking and nearly hypnotic in their colors. Plus, walking around the beach at dusk before the sun disappeared was so idyllic to appreciate the coastal views and see the awe-inspiring rock formations and sea critters left behind when the tide went out. Pacific Sands Beach Resort; photo taken from my room’s balcony. Catching a sunset at Cox Bay Beach is made even easier if you’re staying at Pacific Sands Beach Resort since it’s located right on the beach. I highly recommend this resort. It lives like a vacation rental (kitchens and fireplaces and multiple bedrooms for the win!) 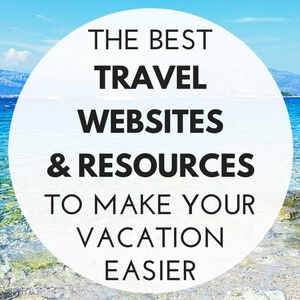 with all the convenience of a hotel (maid service, coffee in the lobby, onsite eatery!). The hotel also has a major surf culture, with a surf rental shop right onsite (the Surf Sisters shop mentioned earlier in this article). You’ll also find board storage, outdoor showers, and benches with hooks to hang your wet things on outside of each room. Plus, the room interiors are either newly remodeled or brand new – the building I stayed in was just recently built. Every room has a kitchen, ocean-inspired artwork, and comfortable bedding. You’ll also find fireplaces, bunkbeds, oceanview master bedrooms, and even oceanview hot tubs. 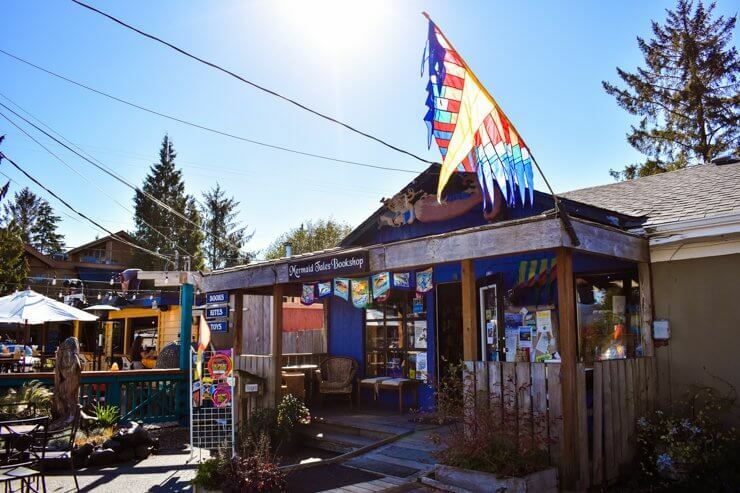 Also, the onsite restaurant, Surfside Grill, is another must-eat place in Tofino that has delicious fish tacos, fish and chips, and poutine (you can’t go to Canada without eating poutine, am I right??). The eatery is super casual, with al fresco tables overlooking the grounds of Pacific Sands onto the sparkling ocean. You order at the counter and then enjoy the fresh air until your order is called. 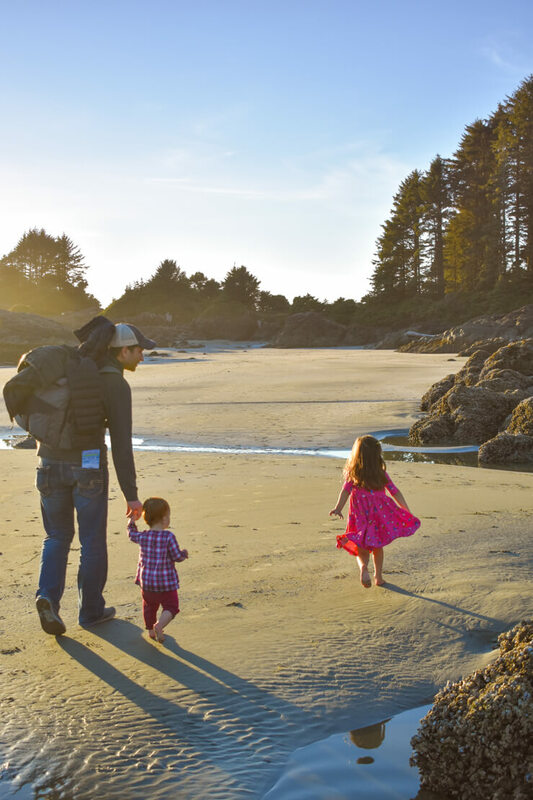 Ready for your one day in Tofino? Or, let’s be honest, changing your plans to stay another few days because there are so many things to do in Tofino that are amazing? (Just do it!) You’re in for an incredible time at this blissful piece of the earth that I call the West Coast’s best-kept secret. 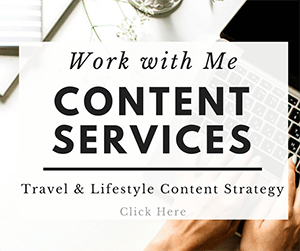 Note: I was a guest of Tofino Tourism, but — as always — all opinions are completely my own, including my strong desire to go back to Tofino again!